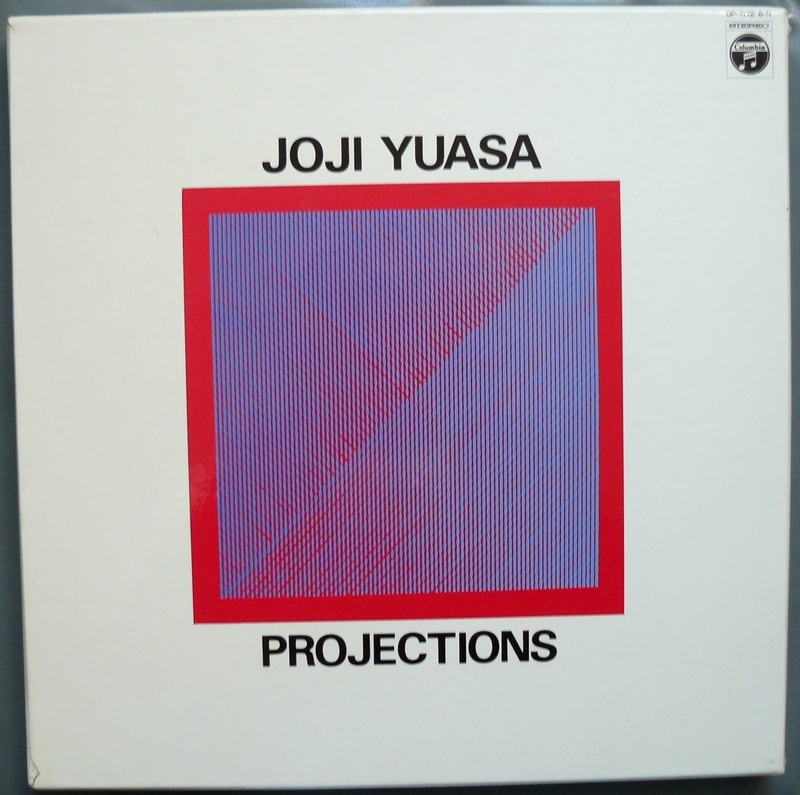 Ok, I won’t lie you, I just consider this album as the best one in the contemporary section, maybe it’s a red vintage translucide vinyl but music is pure gold. 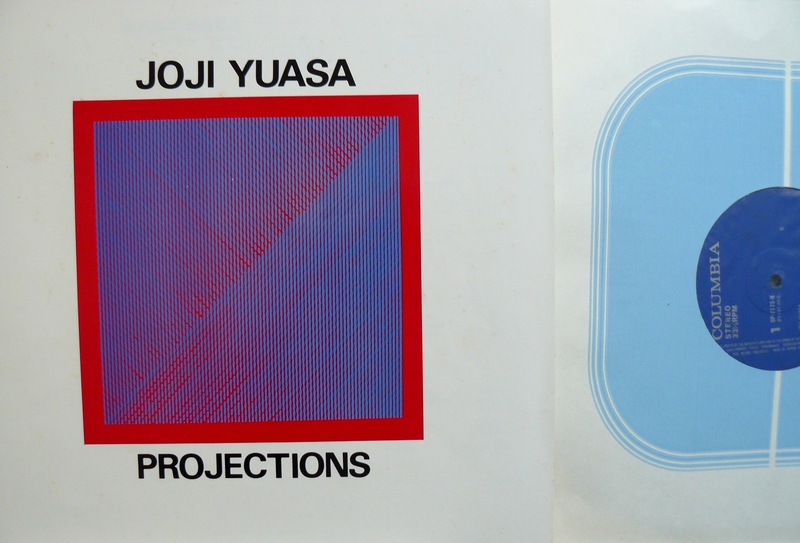 Joji Yuasa is the most common name for my ears and this version of “projection for string quartet” was recorded in 1969 and it still remains as an unreleased on CD. 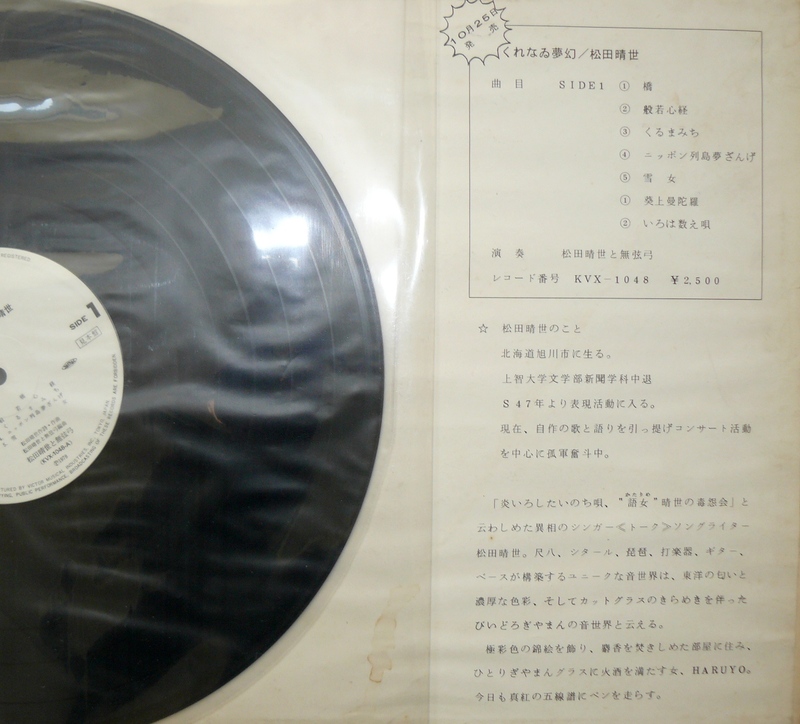 Some later version were released on vinyls too but sound recording is absolutely different. 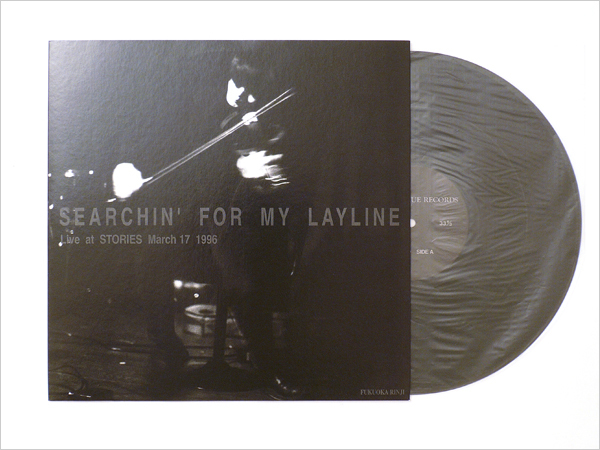 This one is direct in your face (the other versions have some reverb) with a true stereoscopic recording, sometimes it’s like you have strings between your teeth, with speed ebow attacks, details are very, very close, grainy with sound clashes. A true masterpiece, if only string quartet were more frequently like this. 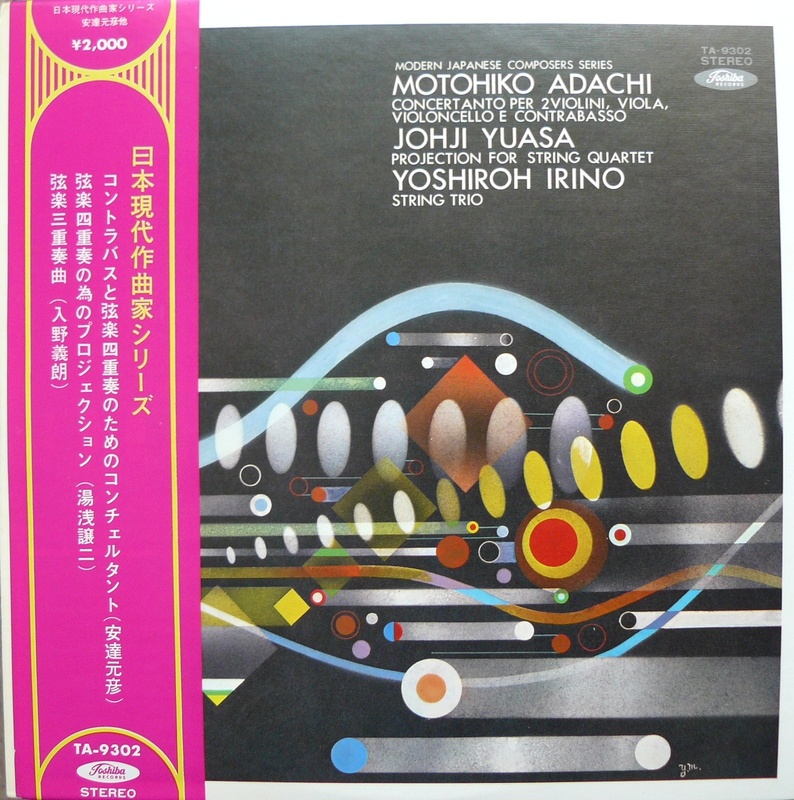 When I purchased this album for the first time, I can’t lie with saying you I had never heard of Matohiko Adachi and Yoshiro Irino before . 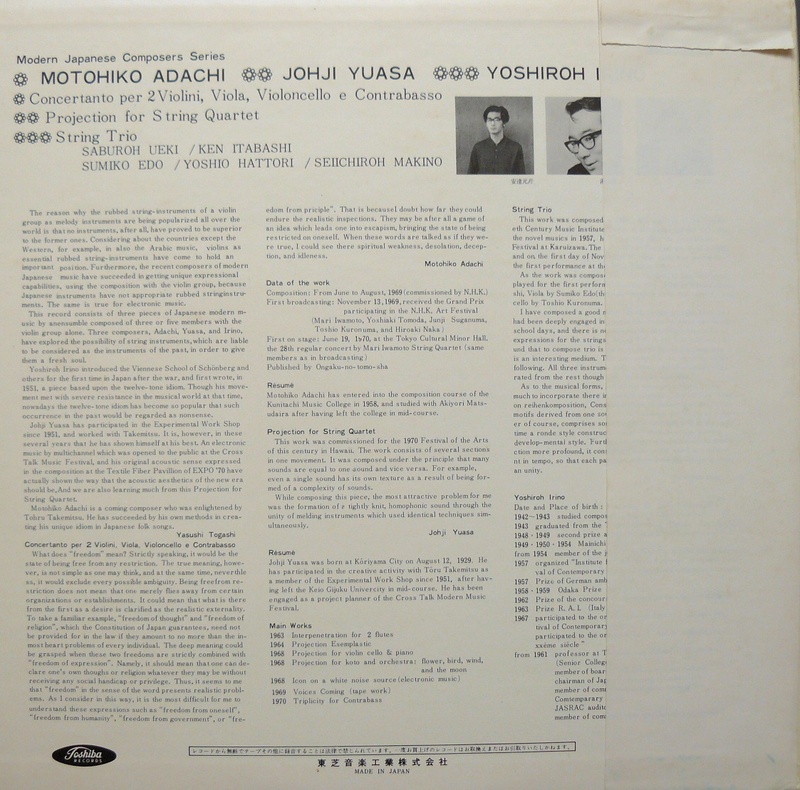 Honestly their pieces are excellent too, Irino who’s credited as the first japanese composer who did a dodecaphonic piece after he studied Shoenberg, turned later to some serial work. This album has no weakness and stays really as a true historic album and more important, just perfect for our ears. 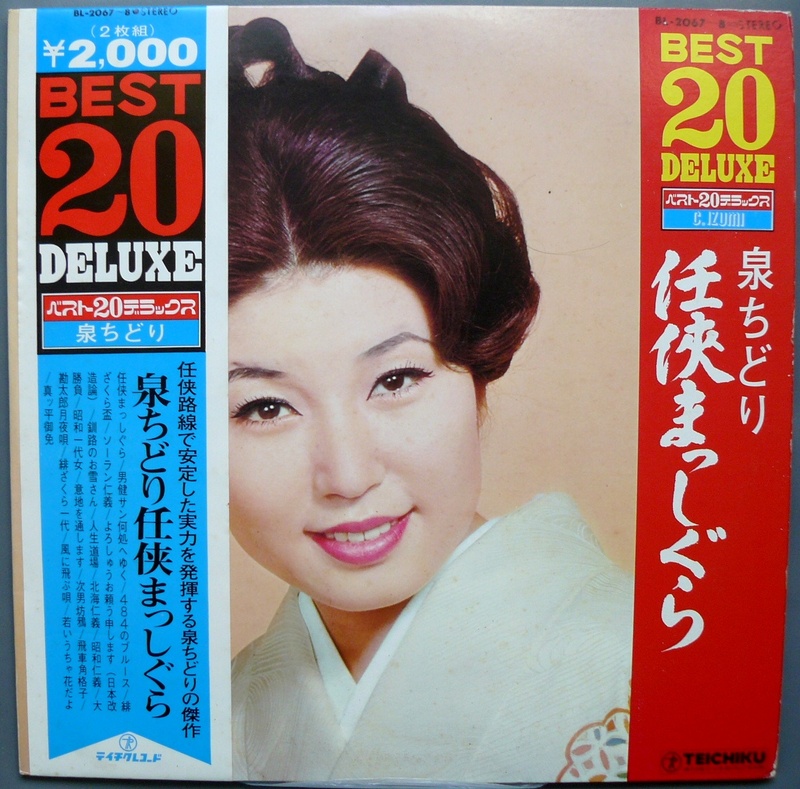 First entry here for a great enka / kayo voice. 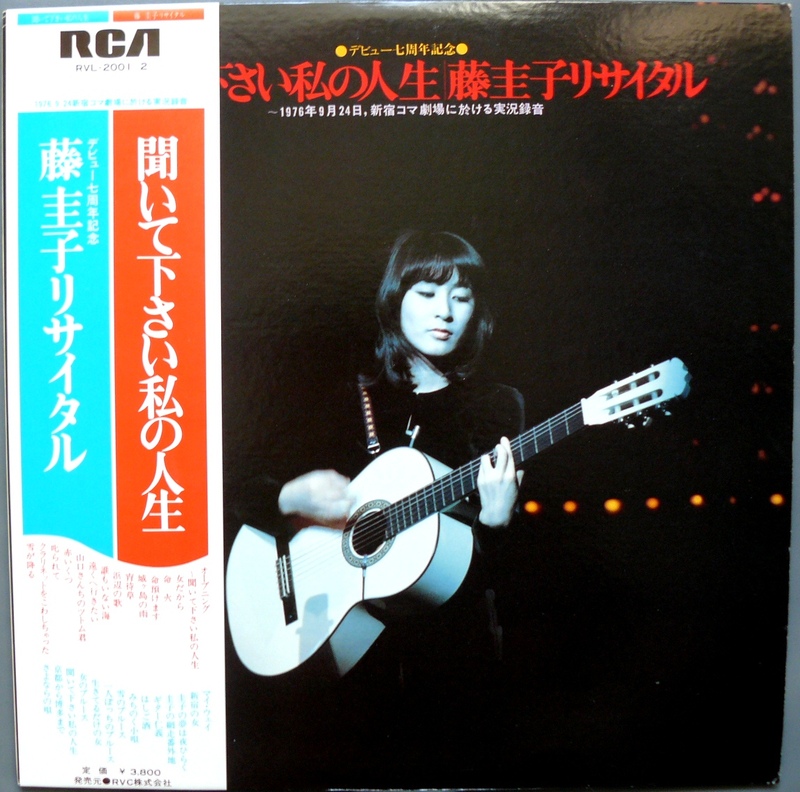 This album from the early 70’s is one of her nice album that offers her enka / kayo cocktail songs with twangy and surf guitars and some more koto & shamisen insertions. Mina Aoe has a very distinctive husky voice and production is at its best. 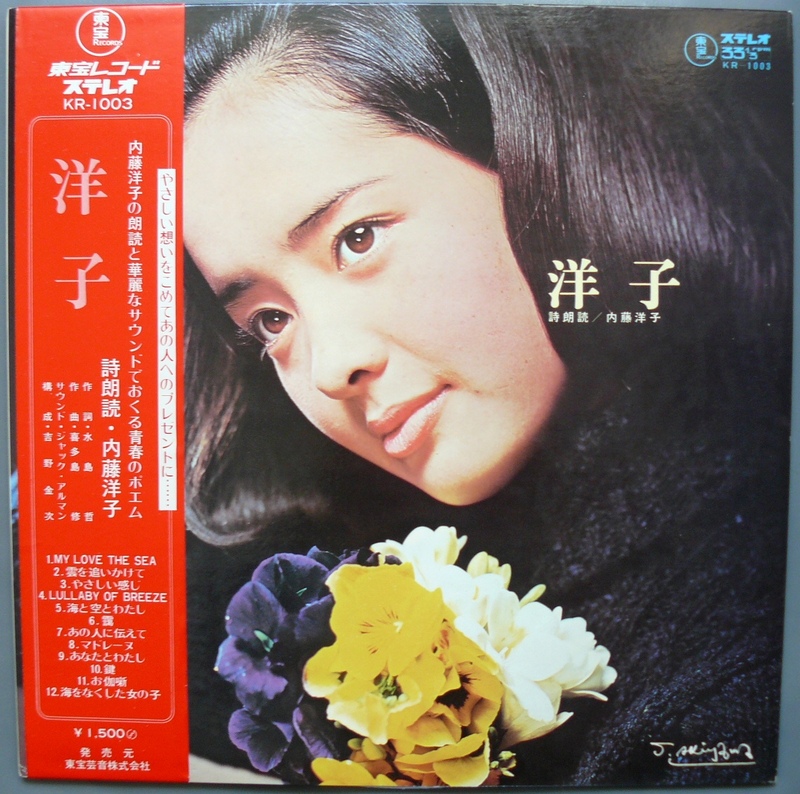 A quite nice and complete compilation that gathers some early tracks coming from some previous albums and some singles.If you are in the Yakuza vibe, in Junko Fuji and you like the early Meiko Kaji’s for the production (early 70’s), that can give you a slight idea of the sound. Izumi Chidori was really a funny actress, her voice is vigorous and nervous, sometimes it’s not far from Yuriko Futaba and her story telling side. 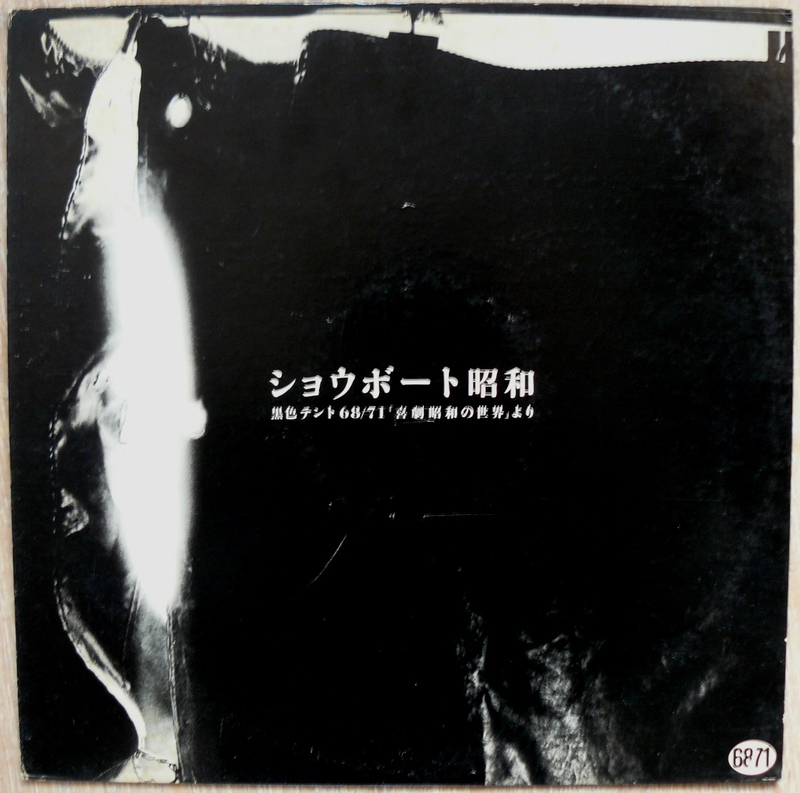 If you’re looking after some actions, swords in the airs with some Morricone accents, this compilation could a be a nice introduction to Chidori’s amazing temperament. 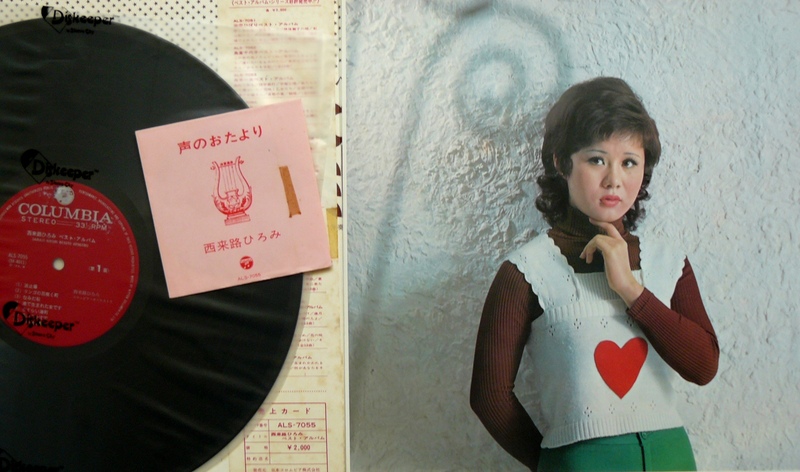 Misae Enomoto had a lot of singles, some would say she’s old fashioned and they’re probably right. She has a high pitched and nasal voice, she’s like a ghost coming from the black & white age , the 50’s. 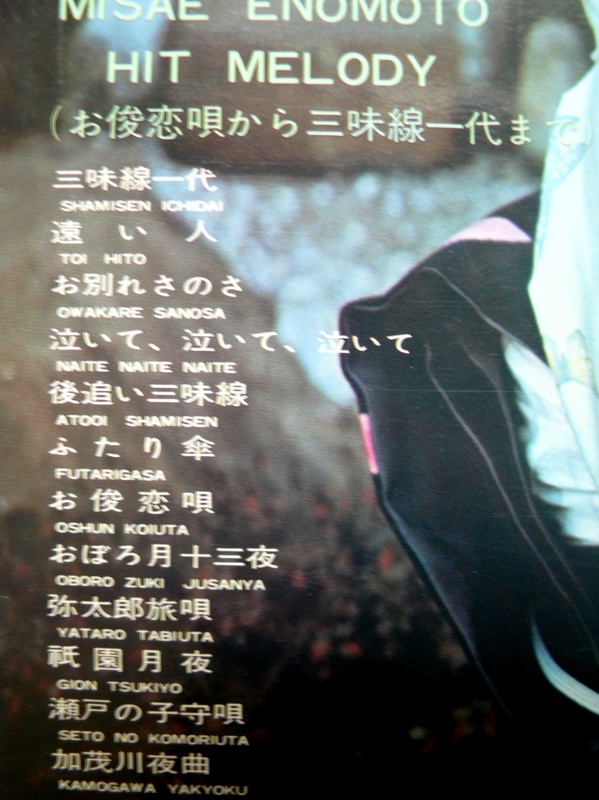 Definitively rooted in tradition, I mean straight enka and minyo with shamisen and some more orchestrations. Just beautiful, it will haunt your nights. 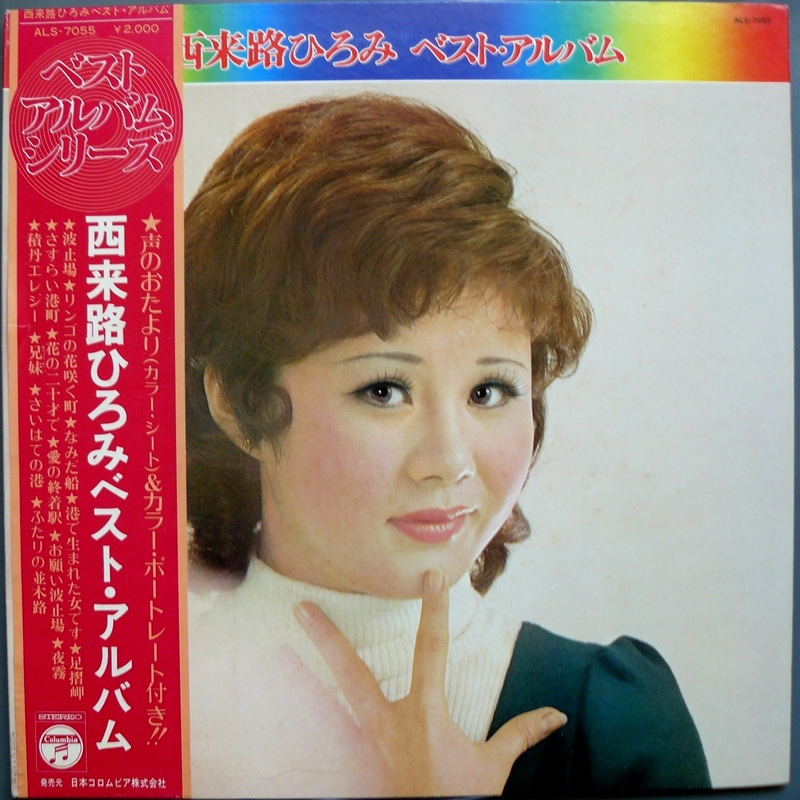 Recorded live, 1976-9-24, Keiko Fuji is probably one of the most popular singer coming from the 70’s and this album is one of her rarest.Vibrant and sometimes with an amazing audience, it seems she had some huge harcore fans in the public. My favorite album for its cover and it has a lot of hits. 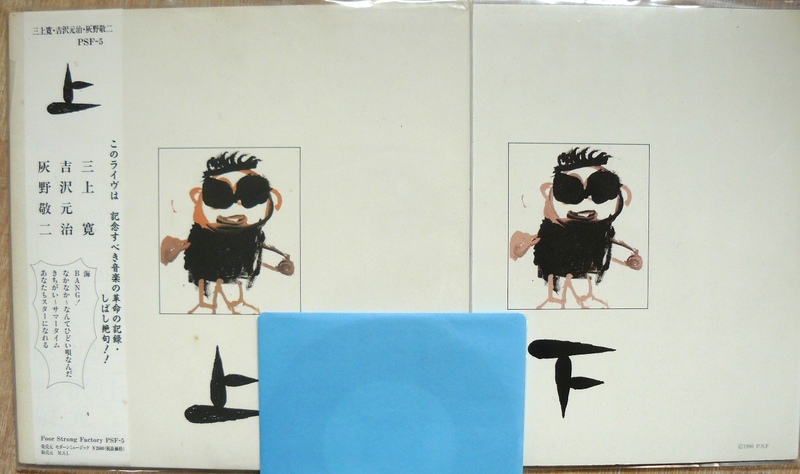 Complete set by an historic trio of improvisers on an historic label. My personnal highlight coming from the Tokyoist scene, since Haino has rarely been so relevant and persuasive with his thousands of collaborations. 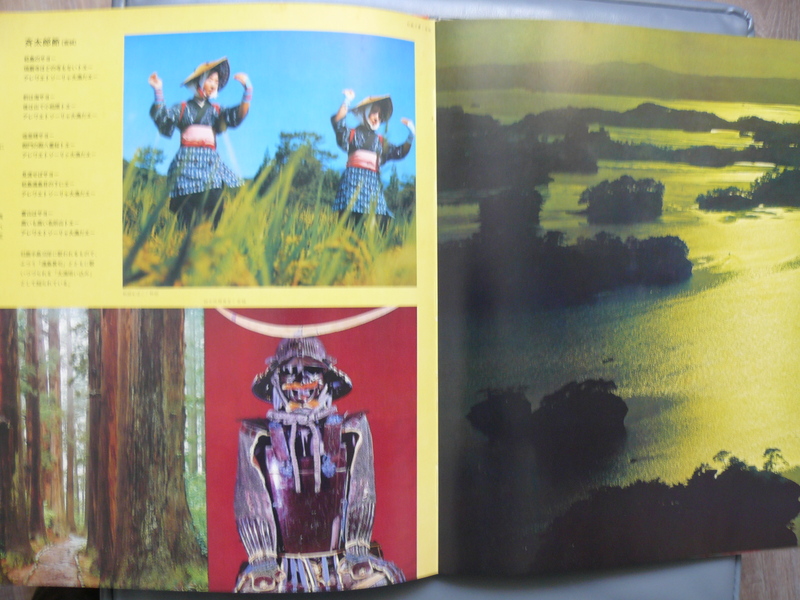 I think one page has definitively been turned and listening these 2 volumes are like timeless postcards. 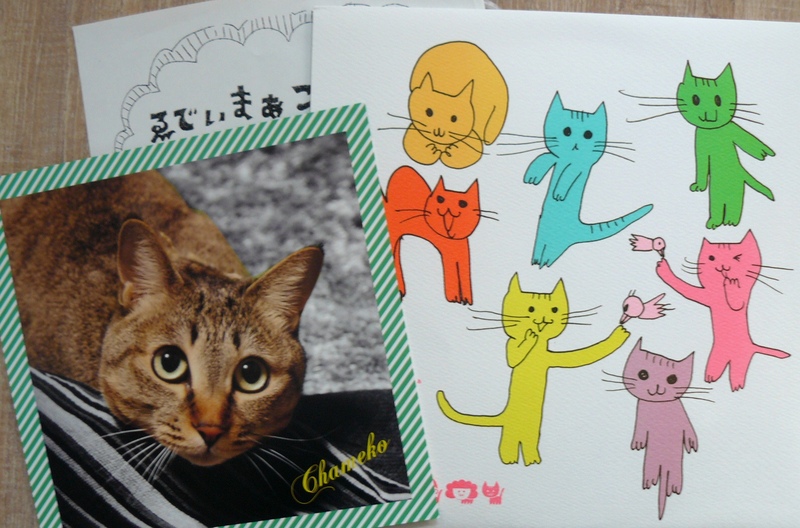 Fantastic ! 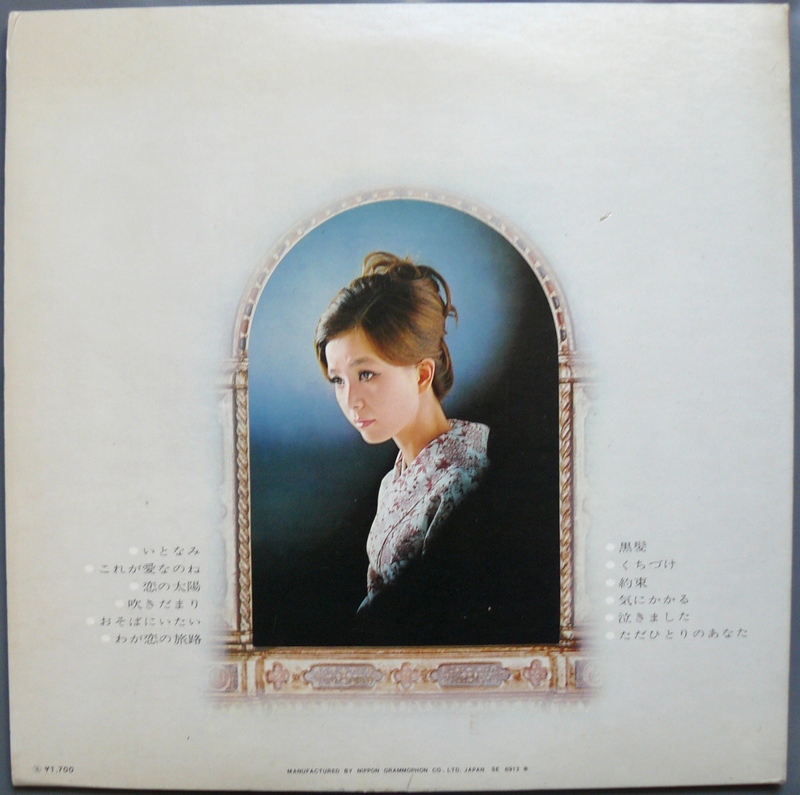 Early album by actress and singer Ogi Hiroko, sadly she stays mostly unknown for many years and I hope even you don’t buy her music from me, you’ll go deeper in her songs because Ogi Hiroko is a fantastic singer, her voice had one of most richest palette I know. I’d say almost everything can be heard through the cover album, between solemnity and some more joyous songs, from a low and guttural voice to higher pitches. 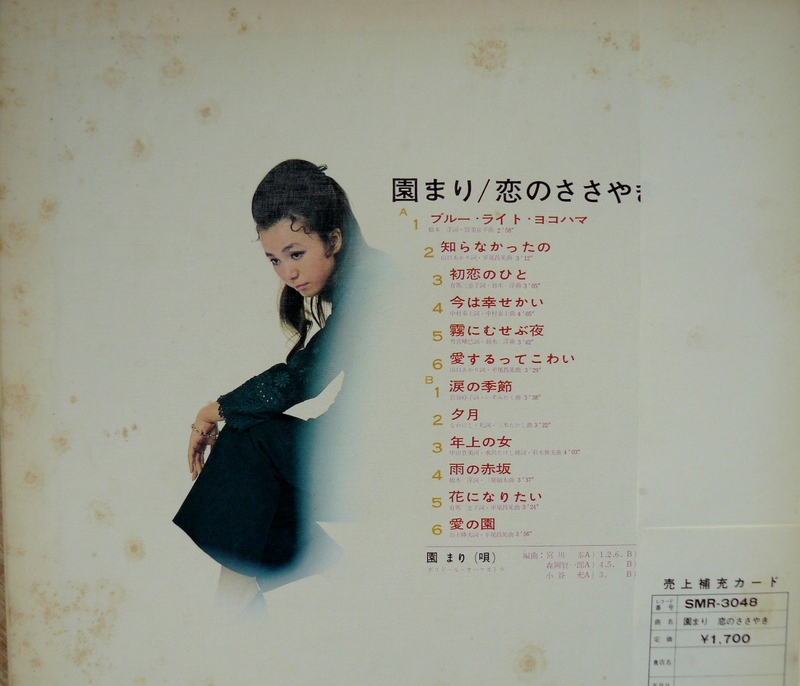 So, it’s highly recommended, she was Meiko Kaji’s partner on the screen, if you want to hear something more serious, just dive deeper in the enka waters. My favorite for months ! 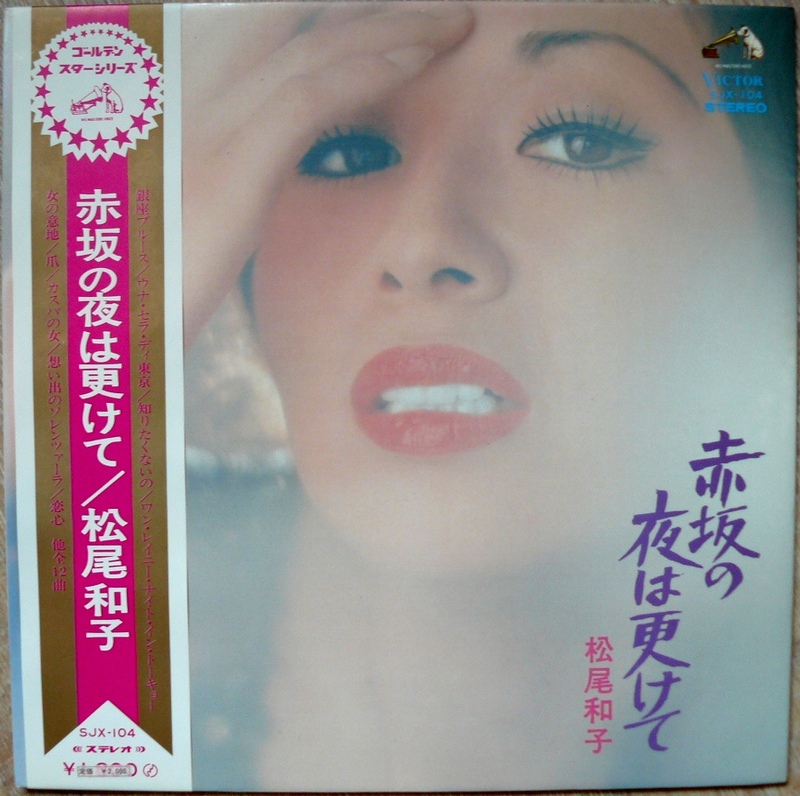 Album with the great satin voice, Matsuo Kazuko is one of the most sensual singer, she has a late night mood, smoky ambiance, she reaches almost perfection with her natural and relaxed style. Limited to 300, sadly it seems Eddie Marcon from Coa’s rock outfit doesn’t sound very familiar her. Eddie is an intimist and dreamy singer for years, she has regularly some limited CDR on her own label and has also a few regular releases. She’s a lovely singer who has a true facility to find easy melodic lines that will haunt you for hours. Most of time she sounds quite folky with a lot of rich arrangements, by accumulation of small details she’s just one of the most charming songwriter : dreamy, childish and sincere. This album is one step beyond pop music. 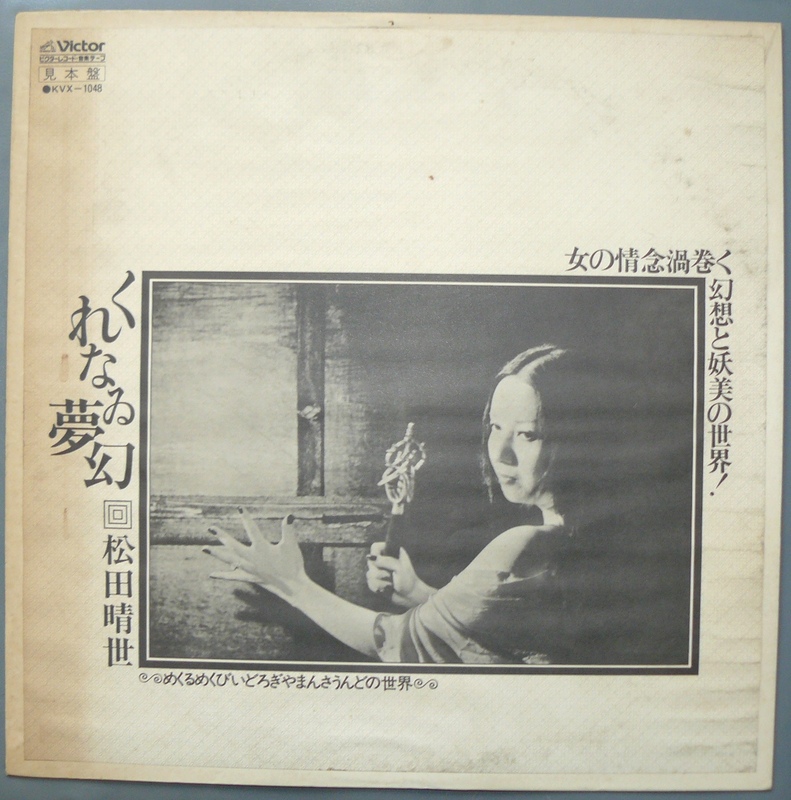 Another piece in the puzzle, probably released in 1970 or 71…Sono Mari will appear again in your dreams…One of her rarest, where are you fans ? 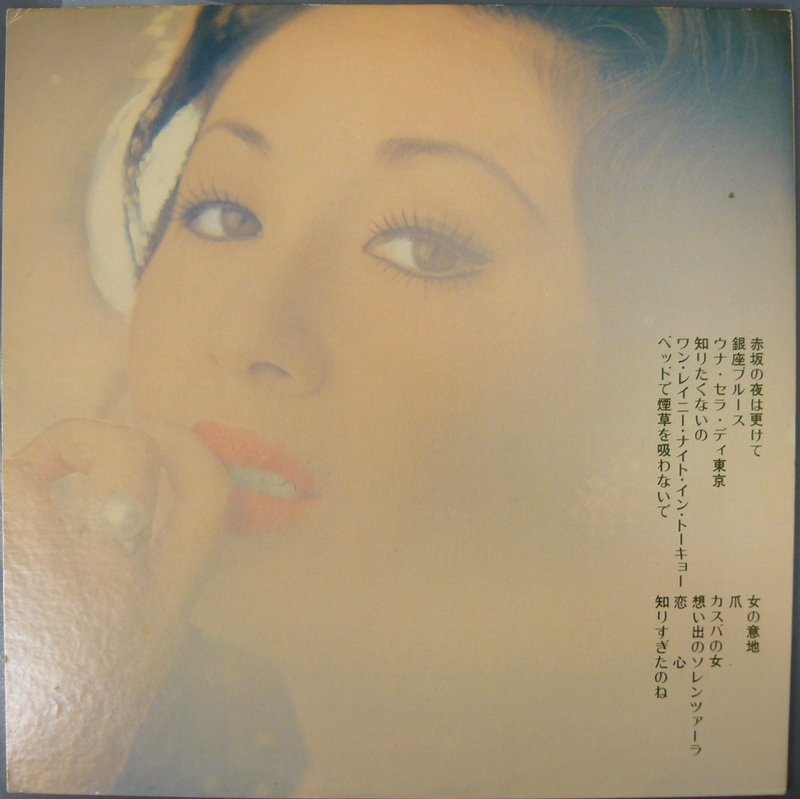 One of here rarest and last album from the golden years, this one is very similar to Sachiko Nishida on the same label, we can hear bass was more upfront in the mix probably the Polydor studios have updated their compressors. 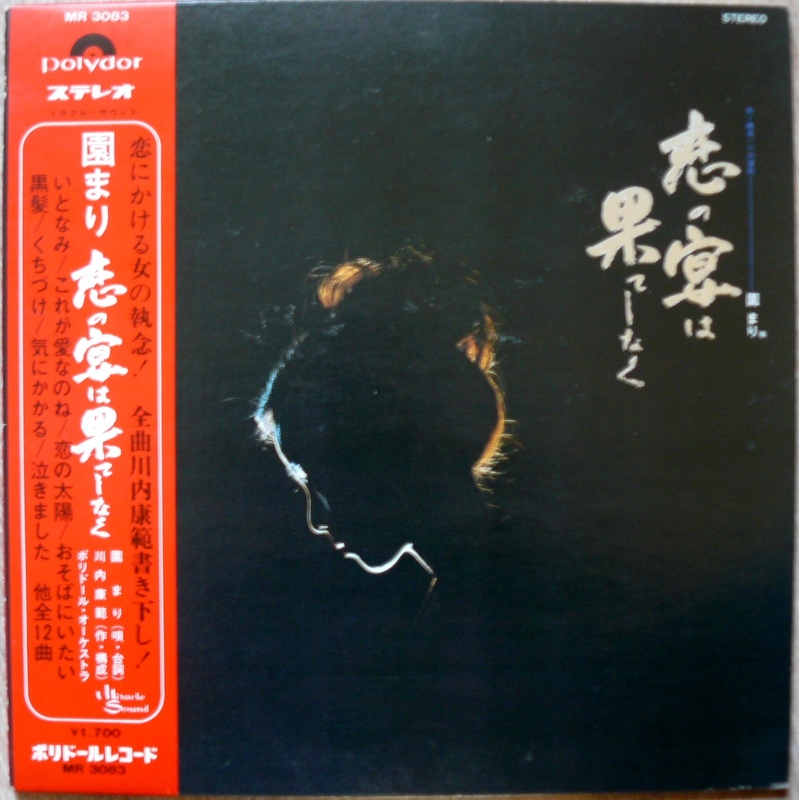 Nice album once again with a more 70’s sound , I can’t remember with having heard a bad Sono Mari. Probably one of the last I’d be able to offer for moons. 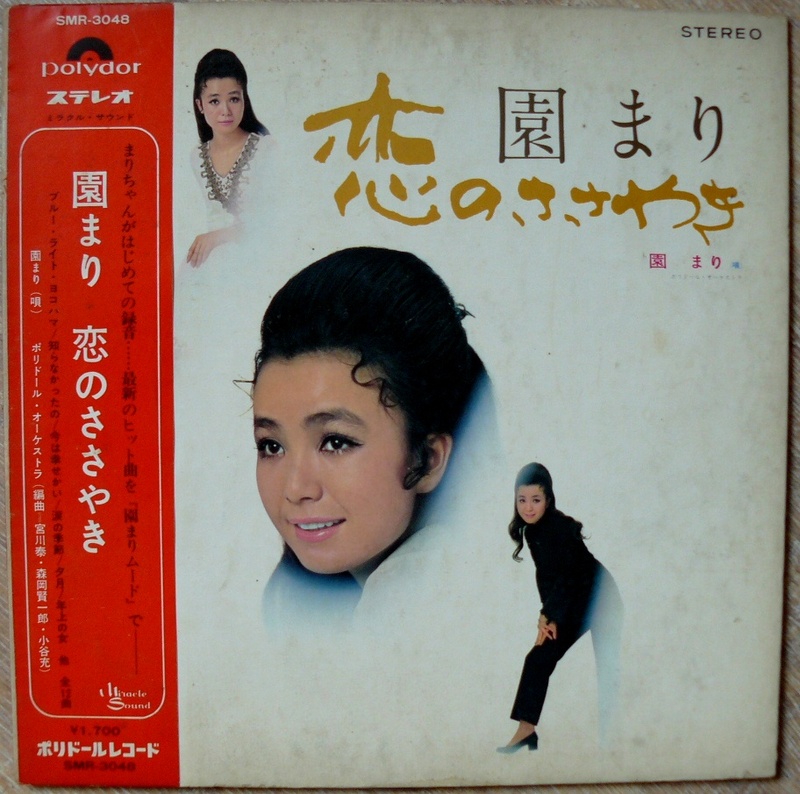 Top rarity for a great obscure and odd album, Haruya Matsuda was linked to Tenjo Sajiki performances for a while and died prematurely after her lonely album. Fantastic as I already wrote it in the past . 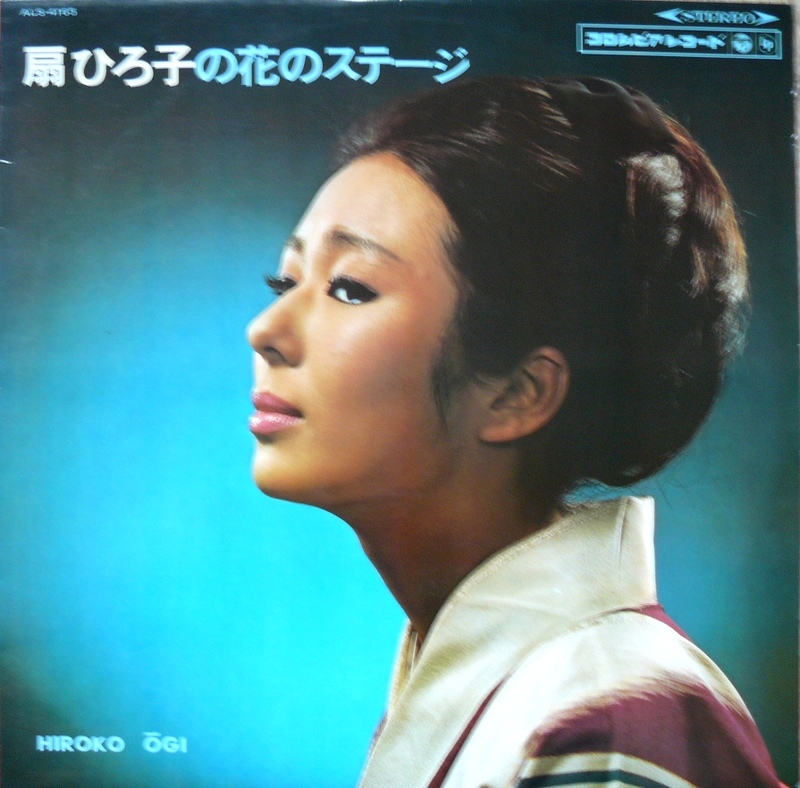 Hibari Misora is a legend, maybe one of the most famous actress and singer, she has almost sold 100 millions of albums and she started her career at only 12 and as an actress she starred in more than 150 films. 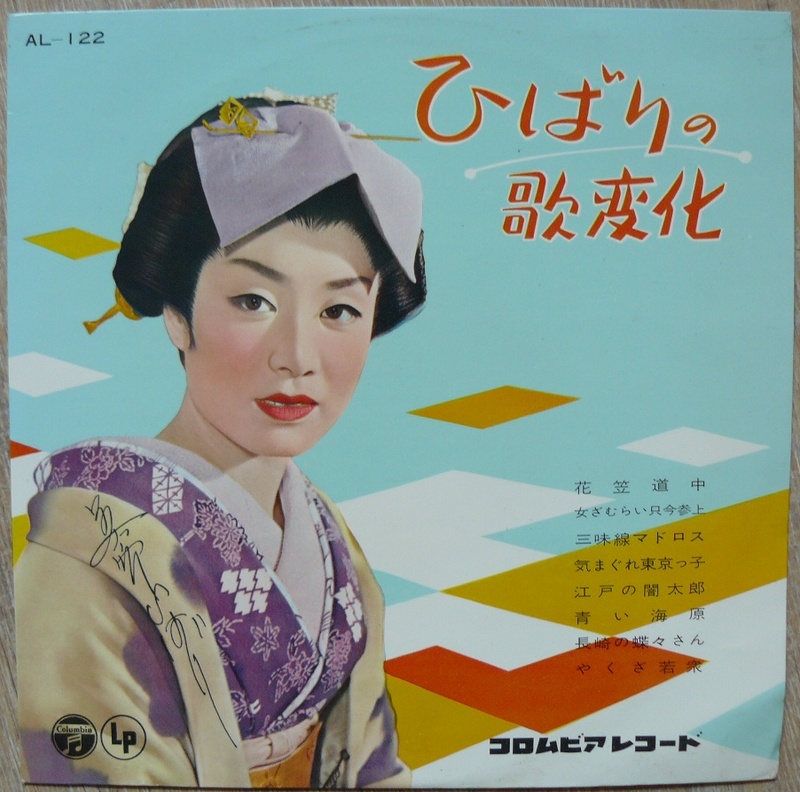 She was 21 when she recorded this beautiful enka record, many consider she was at her peak in the late 50’s and early 60’s. 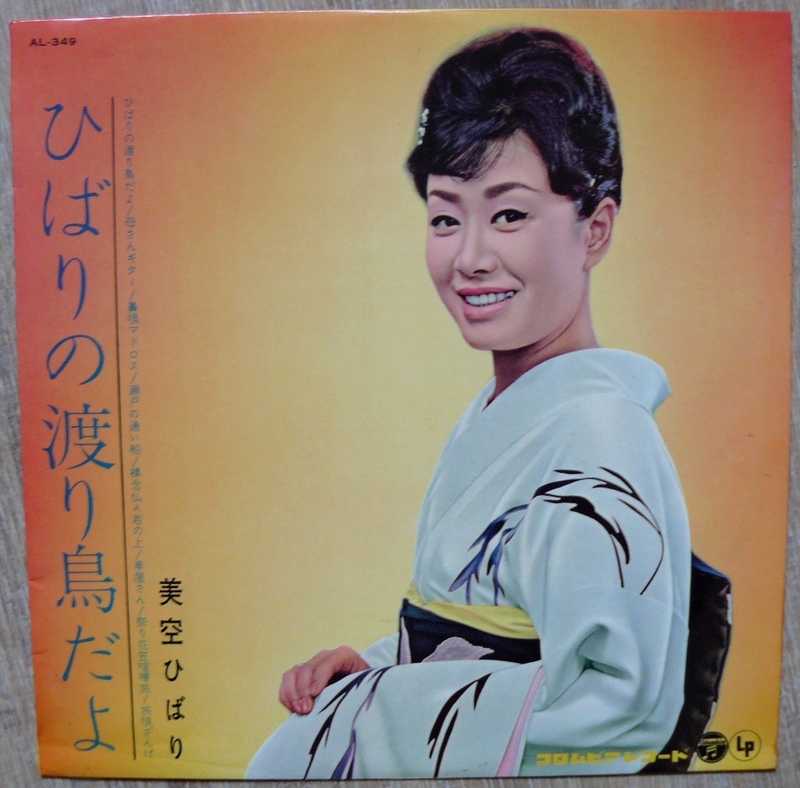 Repertoire here is truly enka but you can hear Misora could bring her specific swing, she’s really the post war figure that opens doors to the jazz and later the kayo influences. Lovely, highly recommended and comes in lovely glossy cover! One more nice album, this one has a specific place here because i knew a malediction with finding it : I bought it 3 times and it did get lost 3 times until a good friend of mine offered me my first copy. Ok, music is just good as it was with Hibari, if you are in enka roots, it’s just a perfect one. 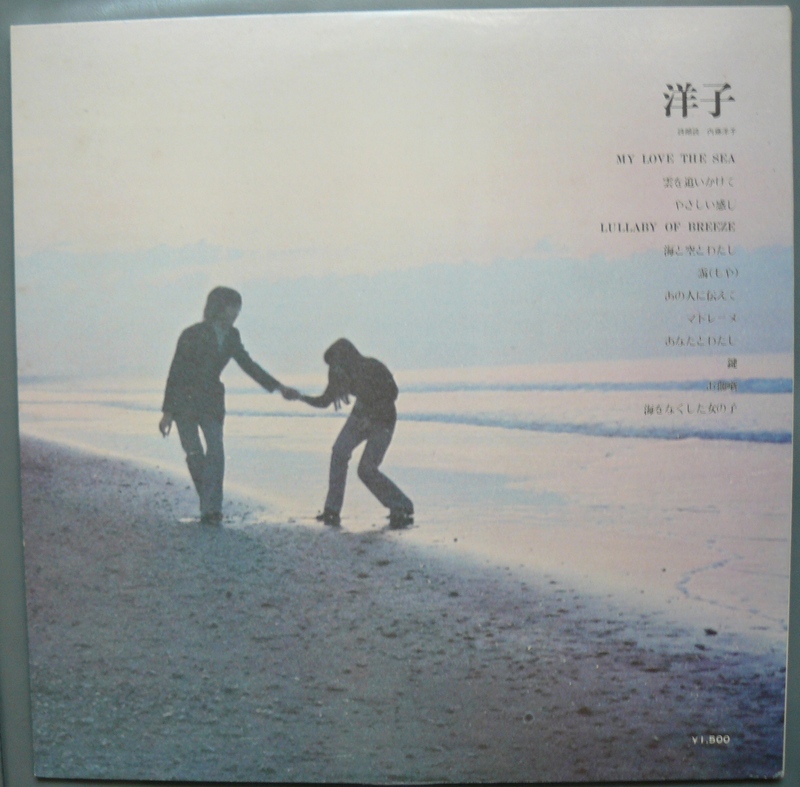 It took me some months to find this nice copy, its a 50 years old album, I can’t believe it ! 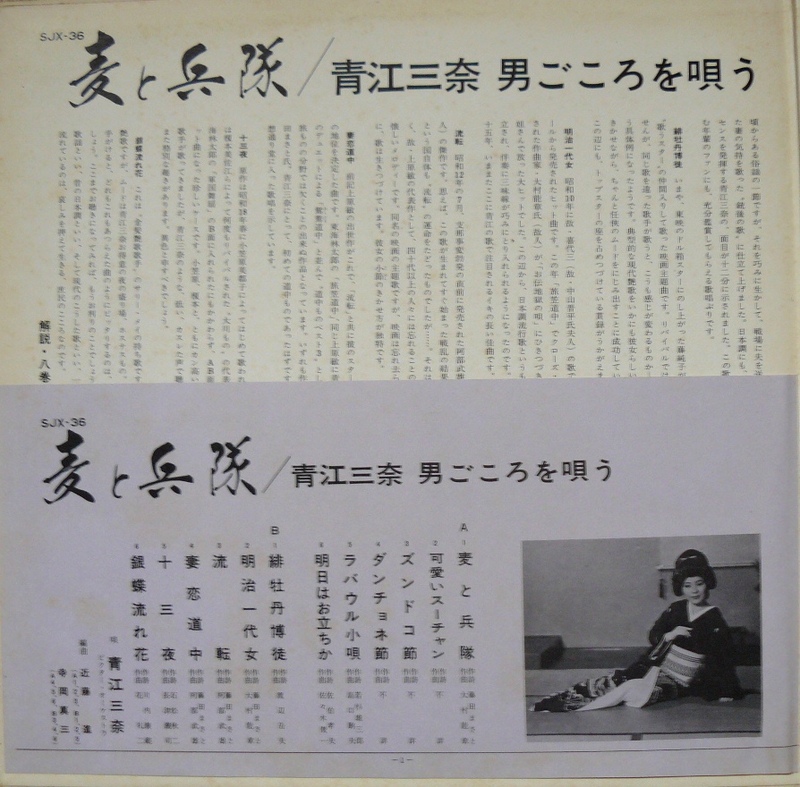 This is the sprintime’s album – Yooko Naito was know as an actress and as a Shuji Terayam’s poems reader, she appeared on a rare EP that came out with a great Aquirax Aida cover (there’s one visible here). She was married to Justin Heathcliff and excepted a few singles I think she only made this album. 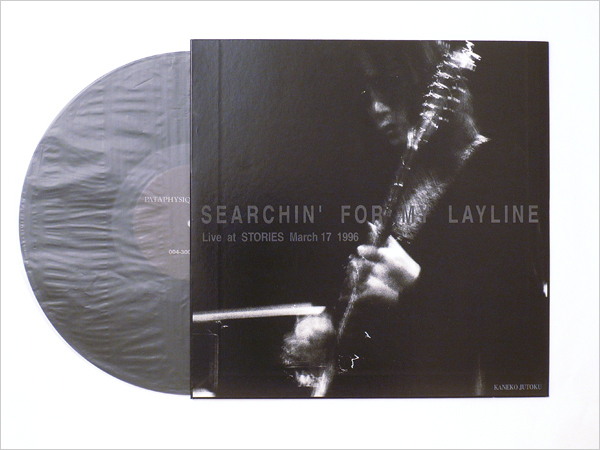 It’s a very nice collection of fragile folk songs and sober orchestrated accoustic tracks. 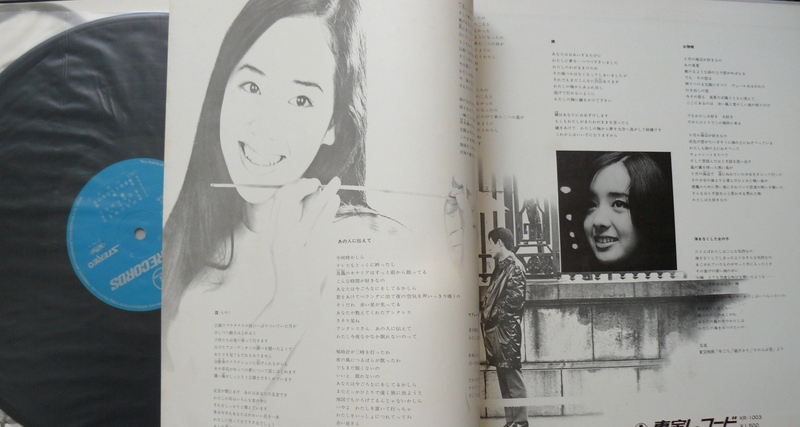 Her reading is very personnal, so melancholic but so sweet and innocent. 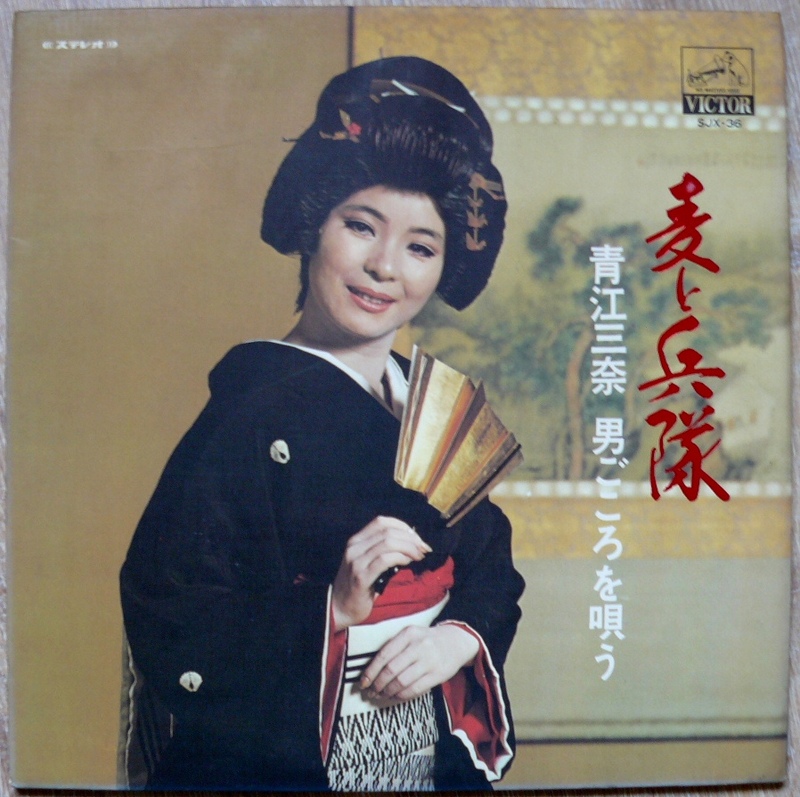 This album is like brackets in memories, it goes directly to the heart, a bit like Carmen Maki “Poems in the Midnight” but in a more straight folk way and with even some Itoh Kiyoko reminescences. 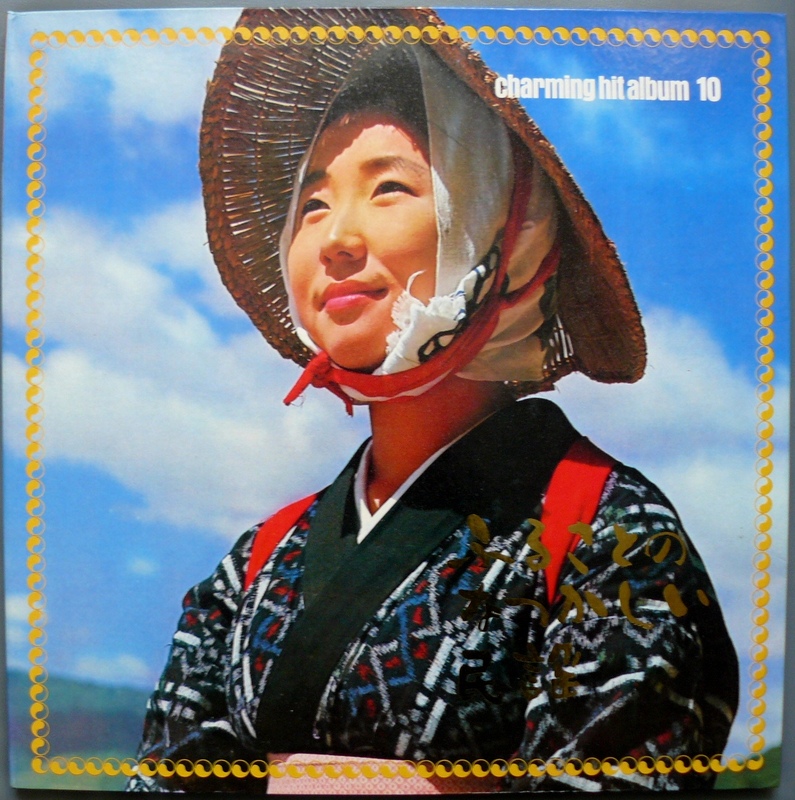 Discreet, but definitively a charming album that grows up with each listening. 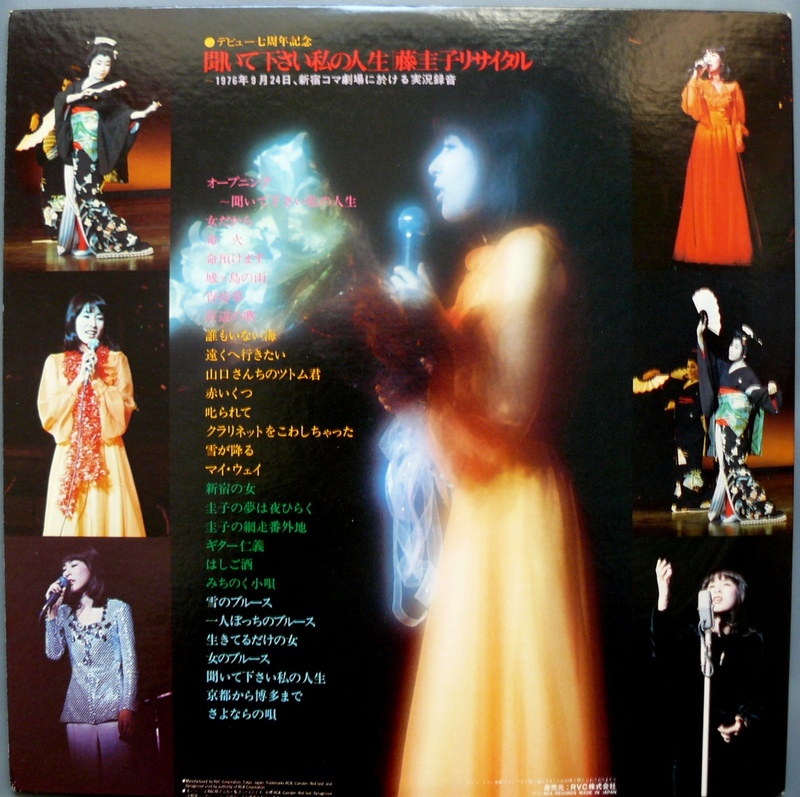 Amazing compilation by the howling and quite incredible Hiromi Sairaiji singer ! 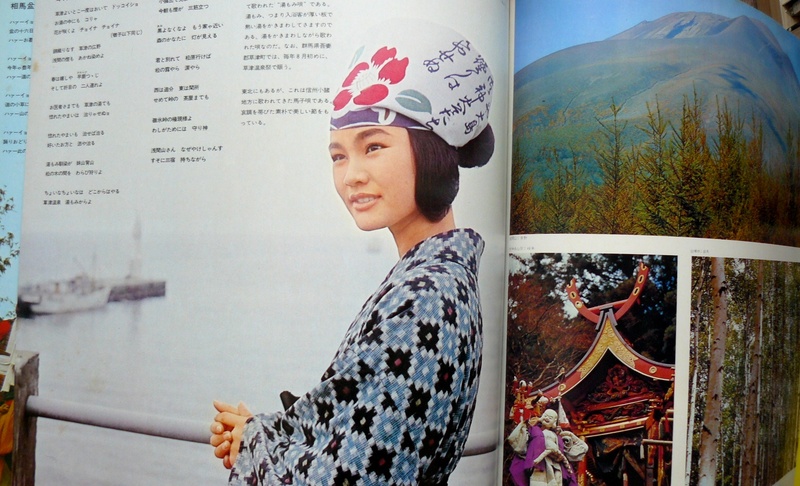 She’s one of my favorite wild enka singer, like many people I’ll eternally praise Tiliqua mailorder for having discovering her through Hideo Ikeezumi / P.S.F boss. Toru Funamura is one of those incredible composers who worked for Hibari Misora, Naomi Chiaki and probably a few hundreds more singer have covered his music. 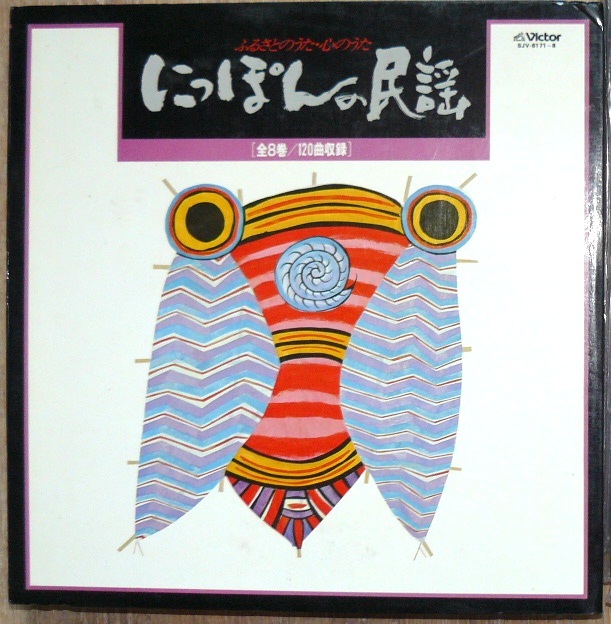 This compilation came after the first 3 Hiromi Sairaiji albums and has a few rare B sides coming from various singles. 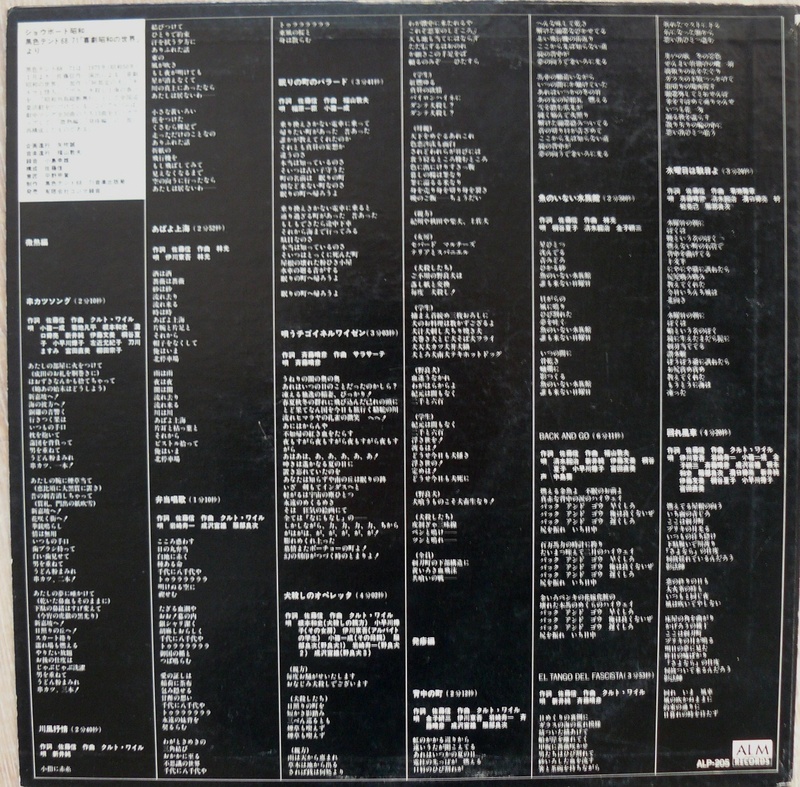 I’m a huge collector of her stuff, many great songs were also released on these B-sides. 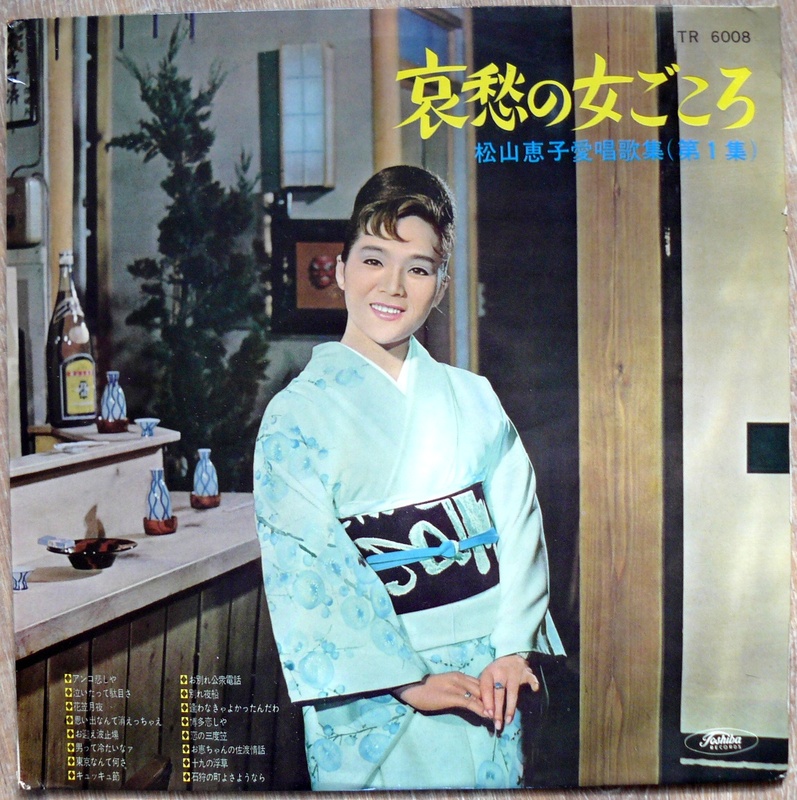 Obviously, this album has not the same intensity as you can hear on her first album called “hatoba”, but it’s a quite varied nice introduction to her nasal high pitched voice. 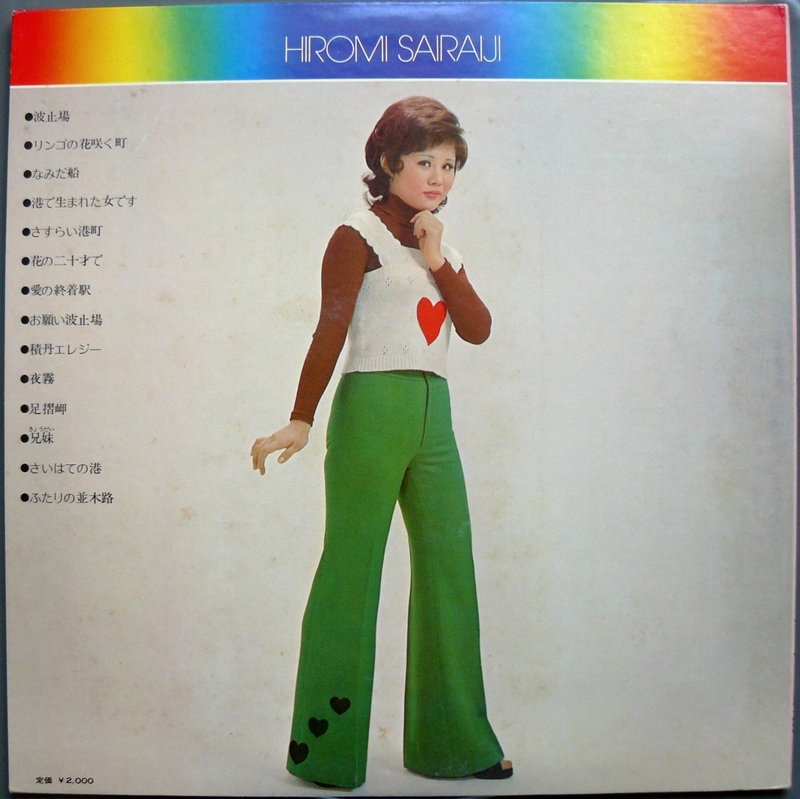 Despite some various kind of songs and arrangements, Sairaiji always sings in a very personnal manner. 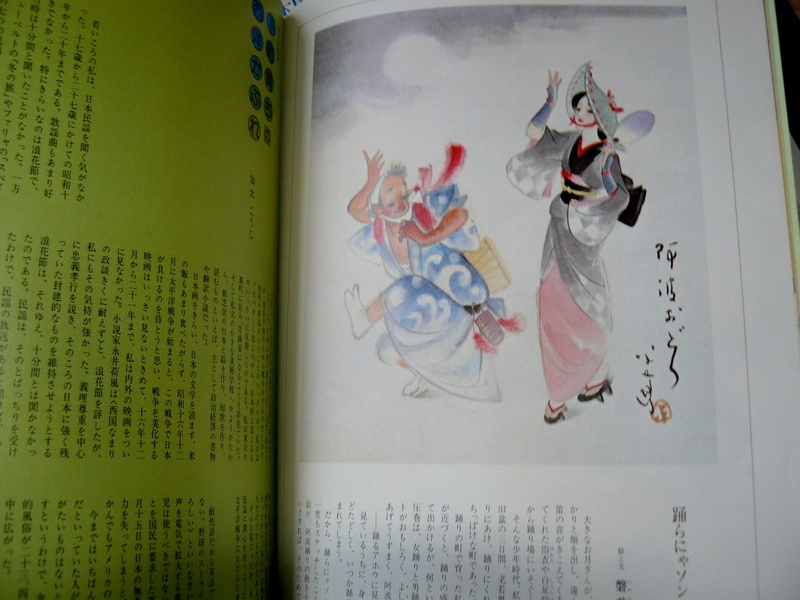 Nice price, I’d be happy if it can be helpful to introduce Sairaiji to a new public. 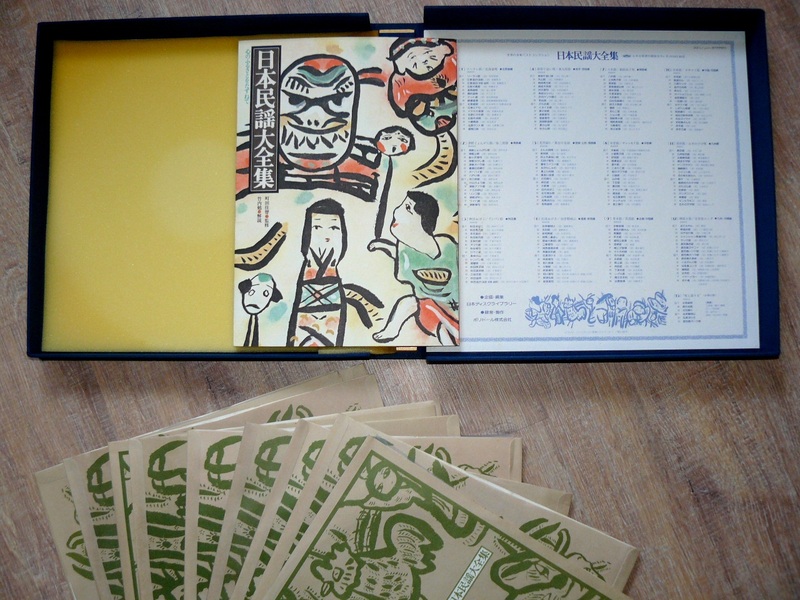 Waouh, comes in a full cloth binding Box with a 80 pages A4 book, so it’s a heavy object., more than 2,5 kg ! 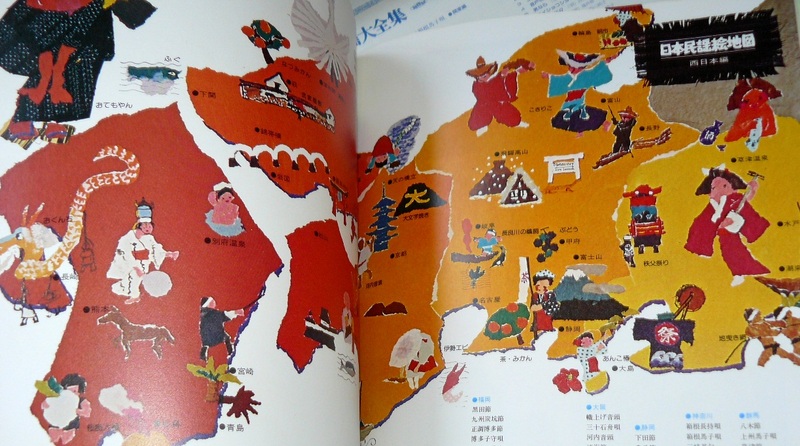 I can’t hide my recent passion for the minyo / folkloric genre and this box gathers all the music and styles from the 4 main islands and more with its regions specifities. If you are in voices, that will keep busy for hours, there’s so much to hear. 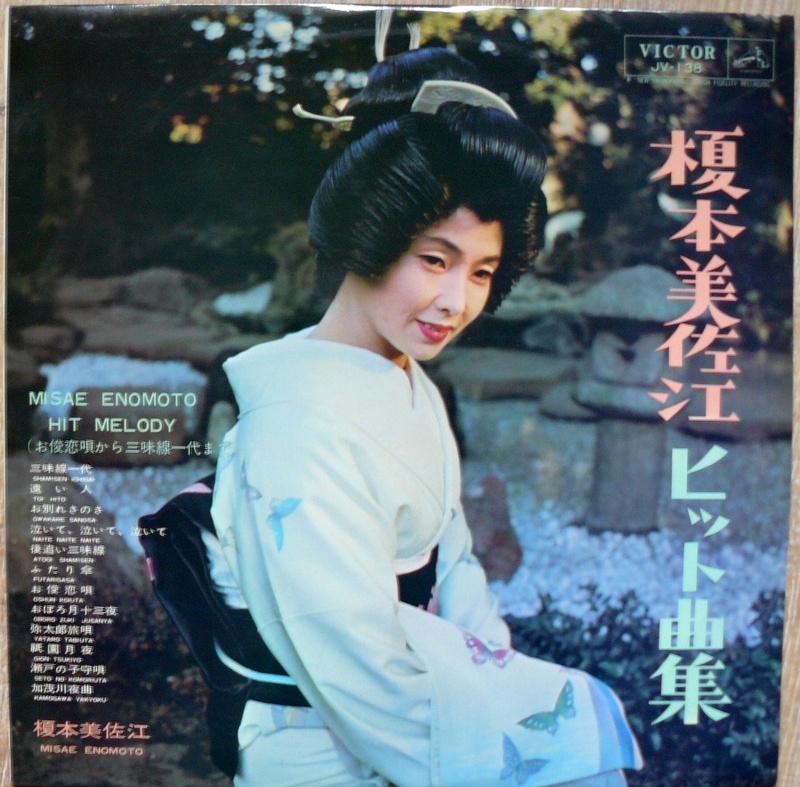 Instrumentation is quite diverse : with shamisen, drums, biwa, shakuhachi, you’ll discover all the richness of the minyo genre with a true authencity.For those who are in enka /kayo, you’ll probably recognize a few songs here because some have been adapted by talented singers such as Eri Chiemi, Yukiji Asaoka. 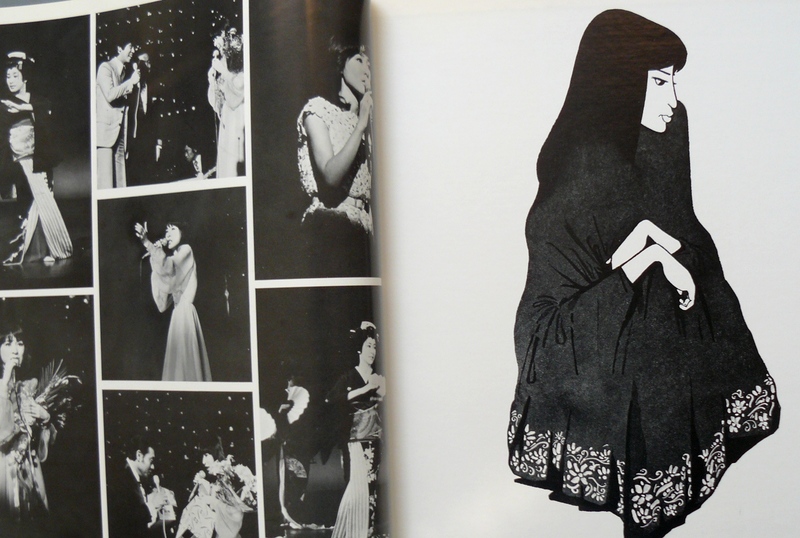 If you are in female singers you’ll be probably hooked by the backed choirs which are always stunning, you’ll hear a lot of kittens and strange miows behind you…some more desperate singers, sometimes harsher. If you are in improvised music, you’ll discover there’s more soul in the traditions than in most of the so called modern improvised musics. No pose here, people sing, play and say a lot if you are adventurous. 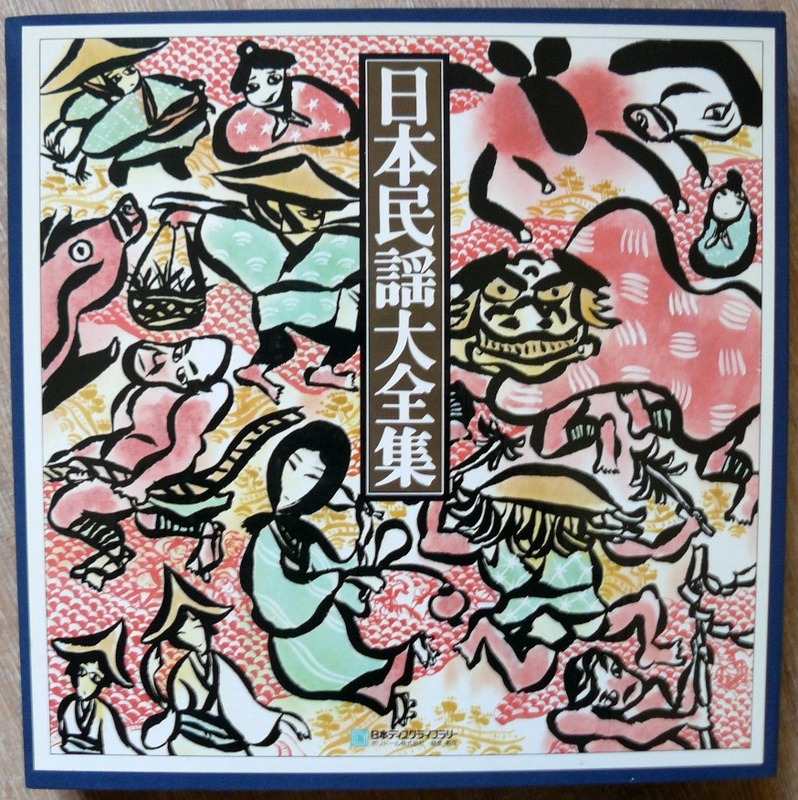 Another stunning collection of minyo / folk songs, I think it was released in the 70’s and albums were available separately. 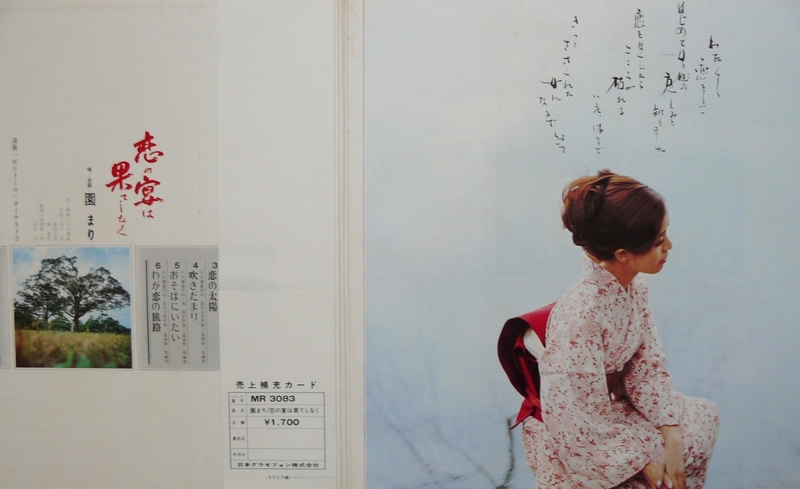 Lovely and heavy book (heavy as 4-5 LPs) and minyo music (flolkloric songs) probably released in 1970 with Jimmy Takeuchi, it has an amazing and quite incredible production, if you are in Eri Chiemi, Hibari Misora and exotica music, that’s really for you. 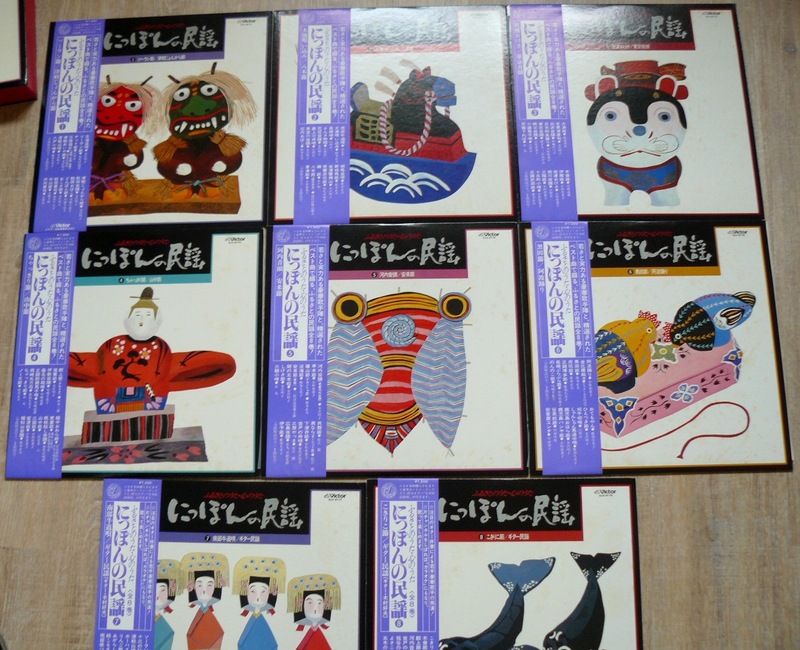 Some famous “bushi” songs with a great palette and even sometimes with a funky/jazzy touch, you’ll see some colored flowers all around you. 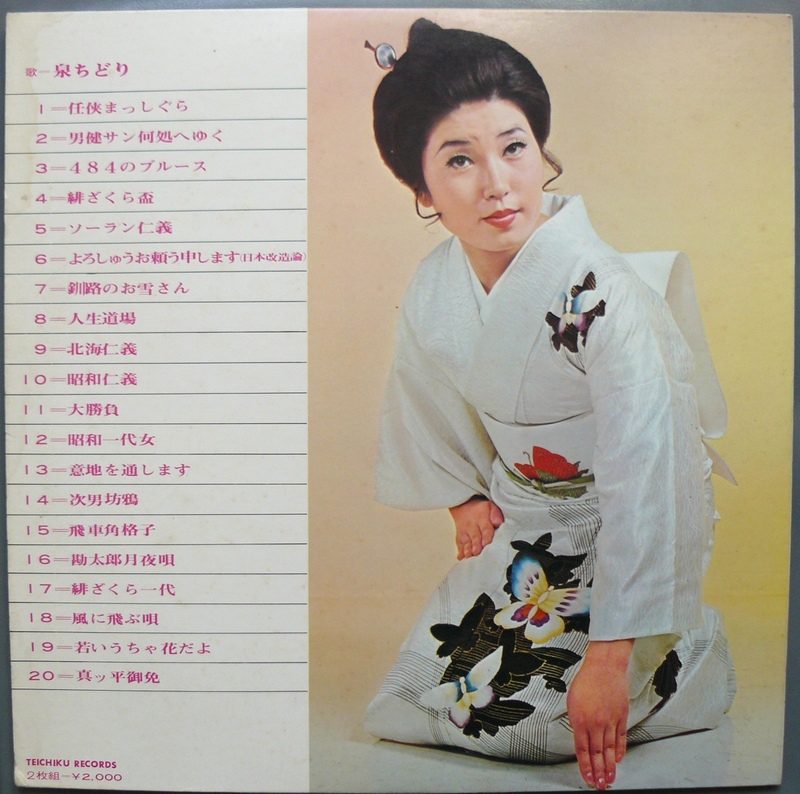 Jimmy Takeuchi and The Exciters, Yasunori Nakajima and Latin Rhythm Kings, Hachidai Nakamura New Sounds Orchestra, Nobuo Hara and Sharps and Flats. 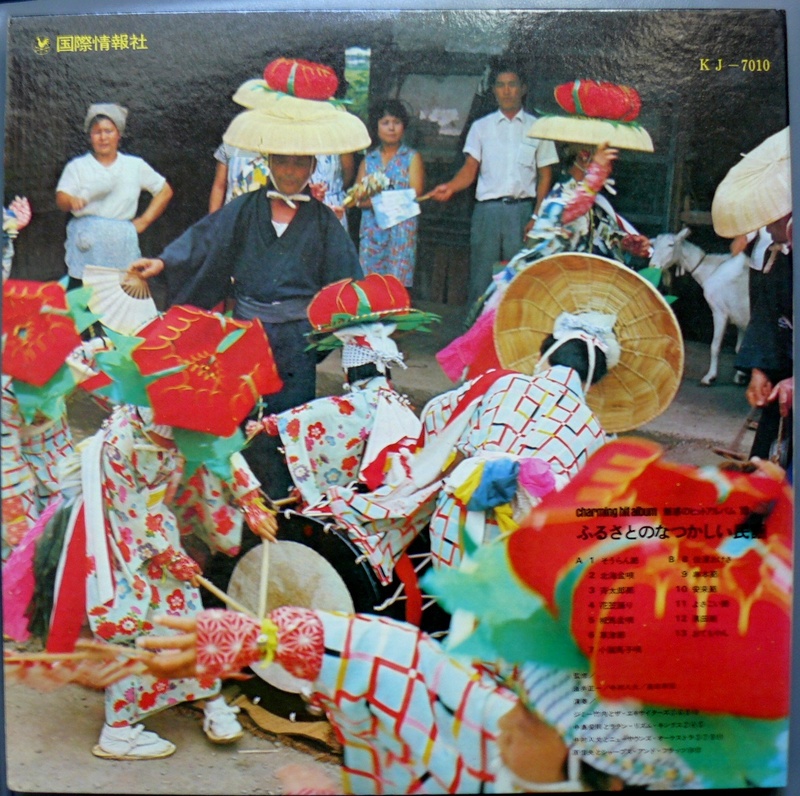 Rare Japanese Mailorder Only Album, amazing Japanese Jazz Funk with Shamisen, Shakuhachi, Wadaiko . 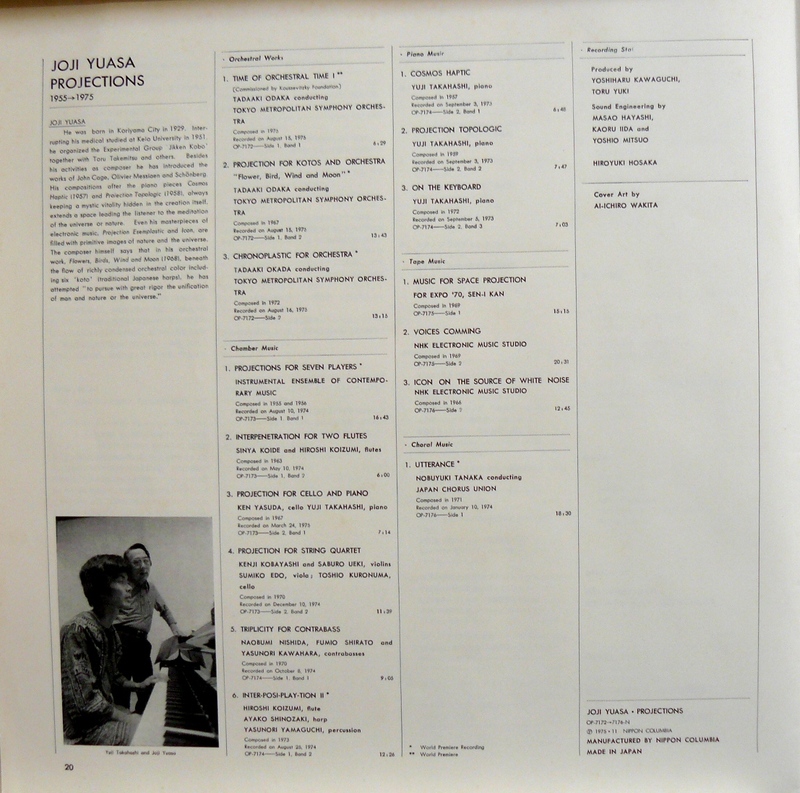 First LP – Orchestral Works (works from 1975, 1967 and 1972); 2nd LP – Chamber Music (compositions from 1955, 1974, 1963, 1967, 1970 and 1973); 3rd LP – Piano Music (compositions from 1957, 1959 and 1972); 4th LP – Tape Music (compositions from 1969 and 1966); 5th LP – Choral Music (composition of 1971). 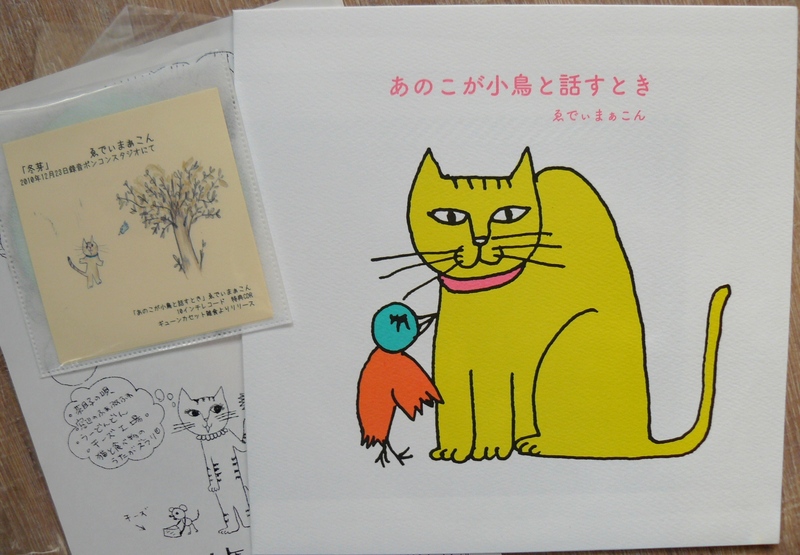 Fantastic and complete Yuasa’s work, hideously rare.